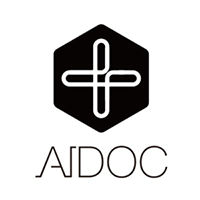 AI Doctor, (symbol AIDOC) has been in the crypto world since 10/01/2018 and operates without the need of a central bank. AIDOC, a crypto currency, is not mineable, therefore in order to acquire AIDOC, you must buy from a currency exchange. To keep updated with the latest news from AI Doctor, you can find them on Facebook and Telegram. We don't have any exchanges listed for AI Doctor yet, check back soon! We don't have any wallets listed for AI Doctor yet, check back soon! We don't have any debit cards listed for AI Doctor (AIDOC) yet, check back soon! We don't have any price charts listed for AI Doctor yet, check back soon!